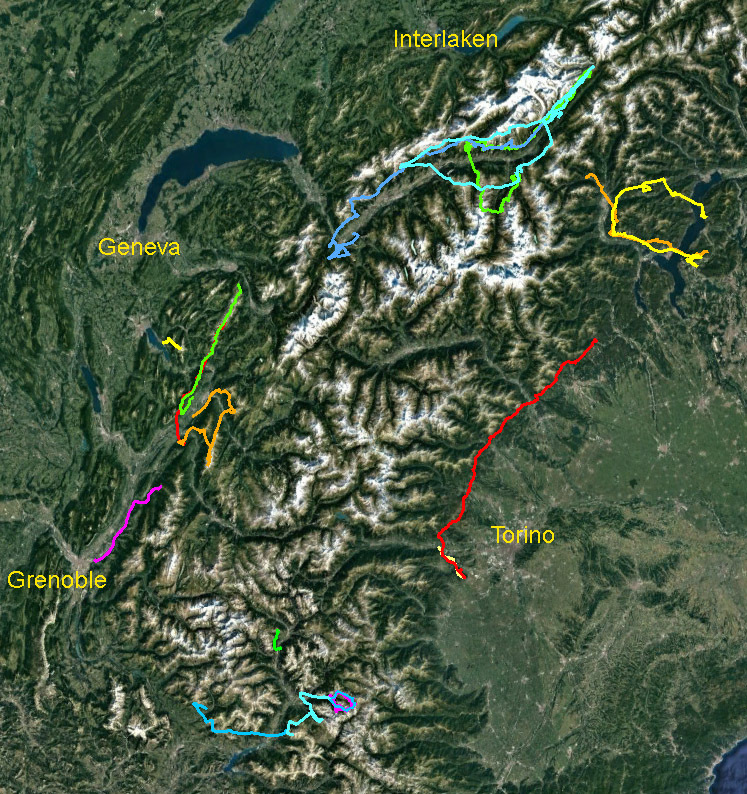 Date Location XC Distance Comment Aug 8 Allevard to Grenoble 37km we arrived in Paris on 6am that same day! 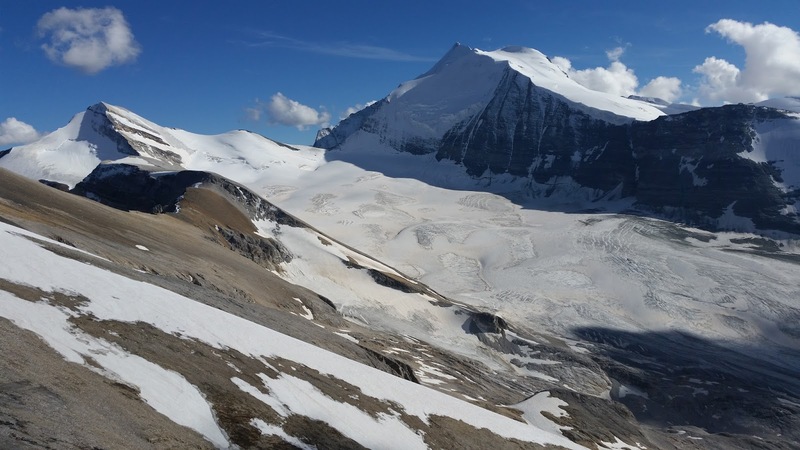 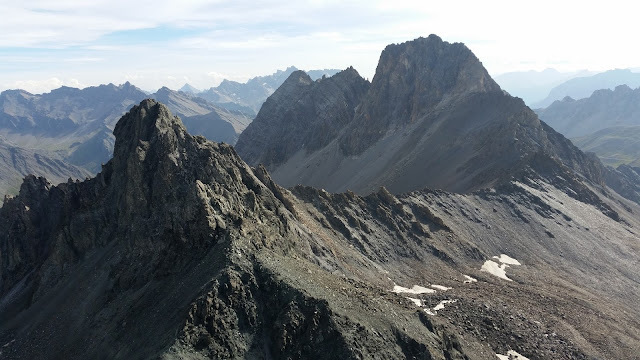 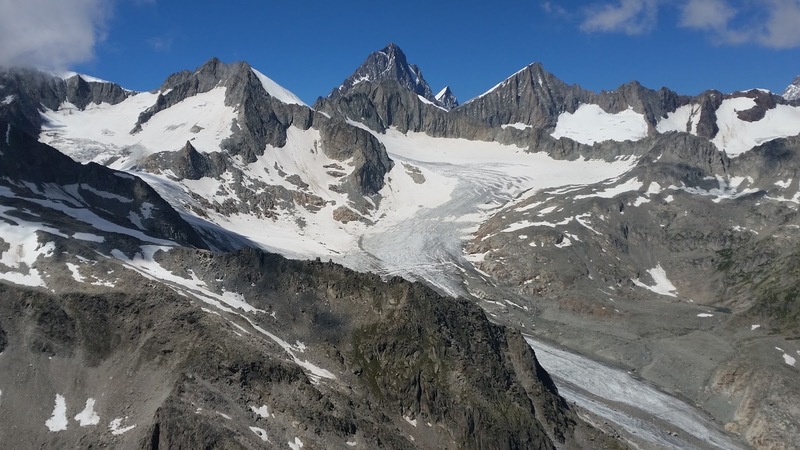 Aug 13 Fiesch, Switzerland 116km flew over Weisshorn glacier! The Isere Valley on the first day. 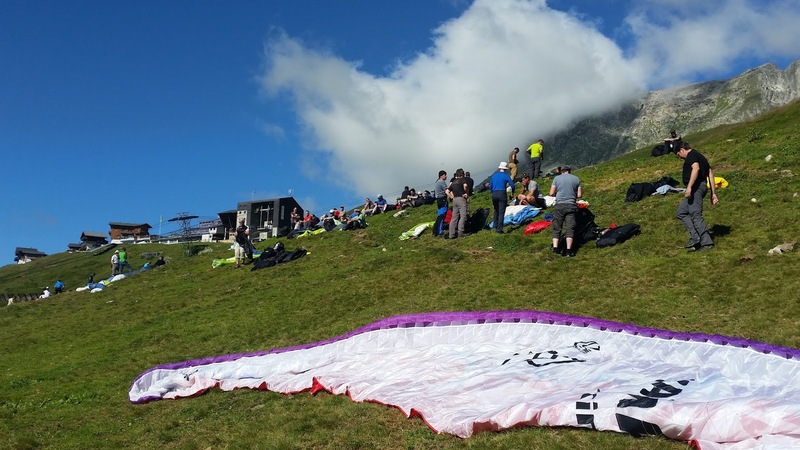 I was mostly only 100-200m above valley bottom for most of the flight! 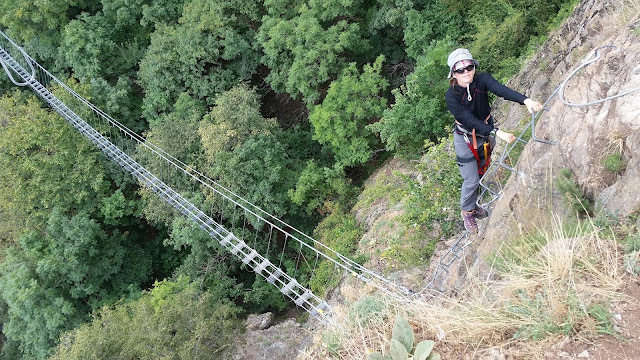 Via Ferrata in Italy. 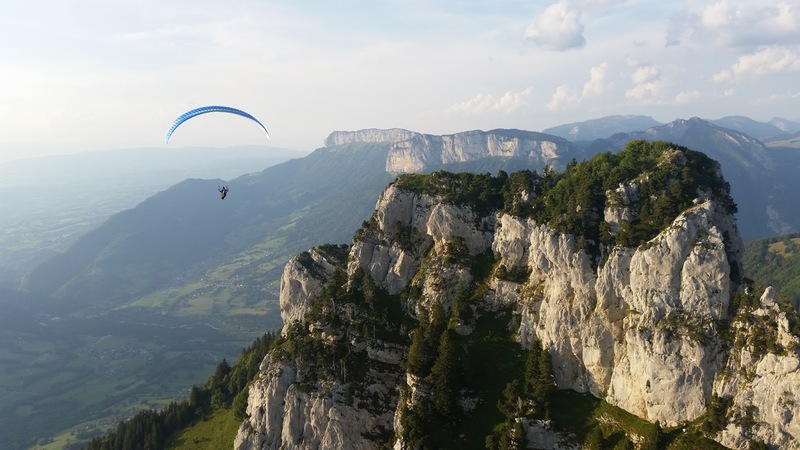 After a short flight in the morning, unfavorable weather made this a better way to spend the rest of the day. 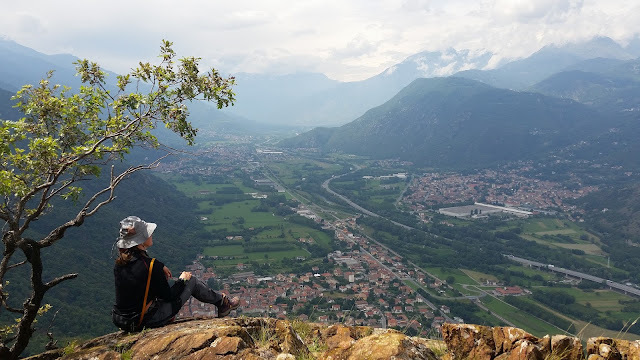 A scenic view of the Susa valley from the via ferrata route. 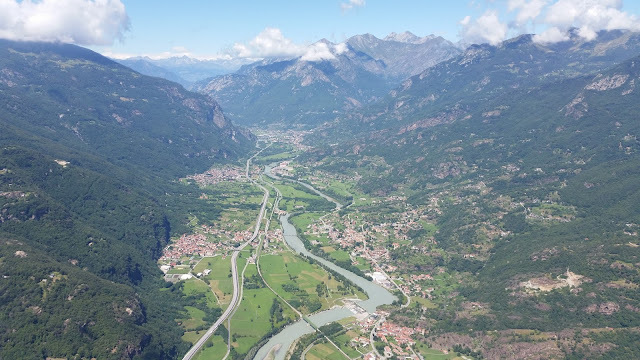 Crossing the Aosta Valley on the Italian foothills route. 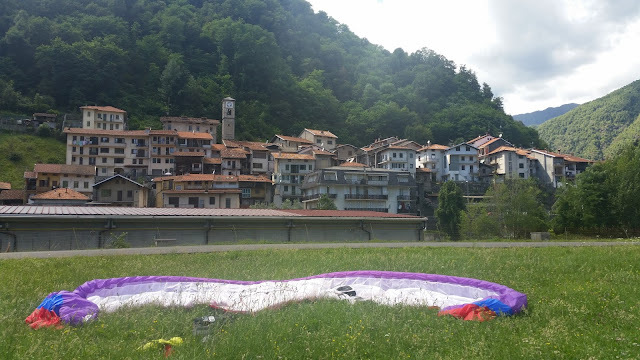 Landing at the small village of Masseranga, after a 112km XC flight. 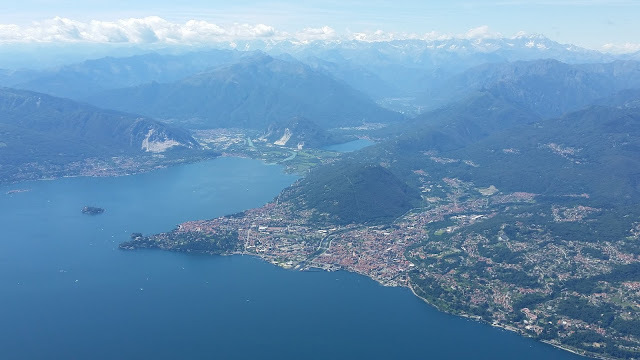 Flying over the Lombardy Lakes: Lago Maggiore and the town of Intra. Waiting for thermals at the Fiesch TO, Switzerland. 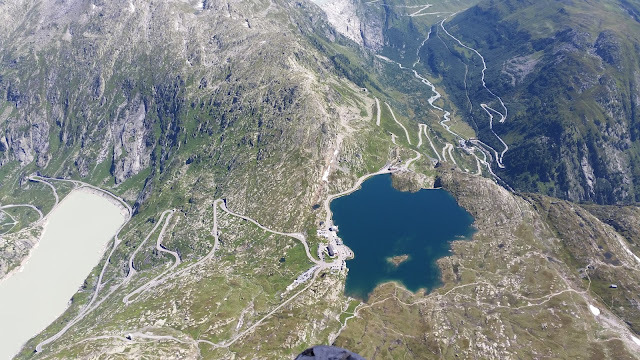 Grimsel Pass, a famous turnpoint on the Fiesch super-skyway. 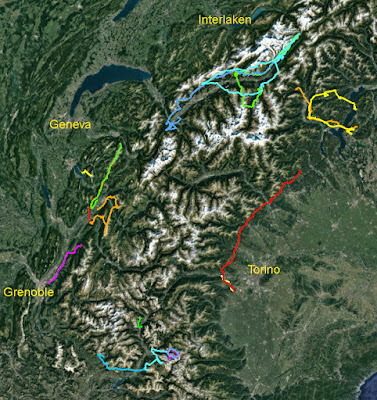 Flying for distance between the Rhone Valley and the Bernese Oberland, altitude nearly 4000m. 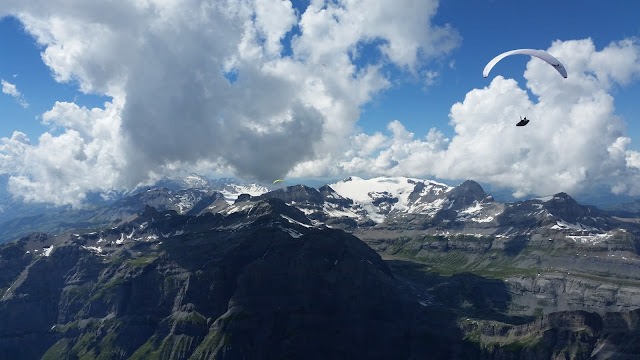 Flying the Bernese Oberland, with its highest peak Finsteraarhorn (4274m). 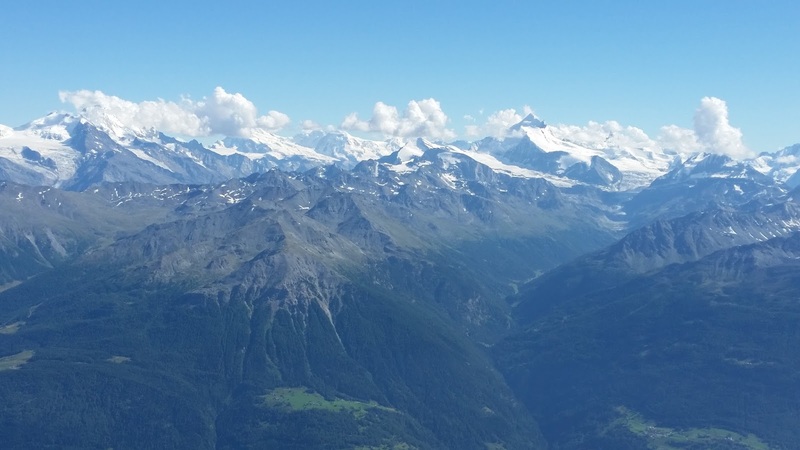 On the other side of the valley, the main Alpine Ridge, with Monte Rosa (4634m), the second highest mountain in the Alps. Flying near the Weisshorn (4506m). 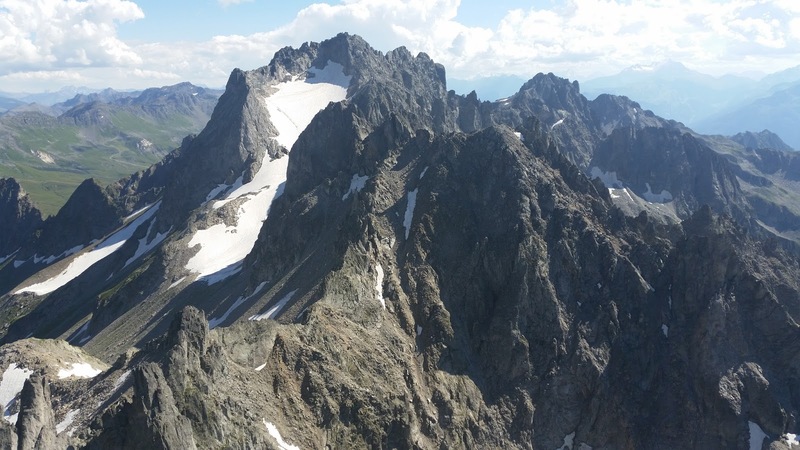 Hanging glacier on Grand Pic de la Lauziere (2829m), Savoie, France. 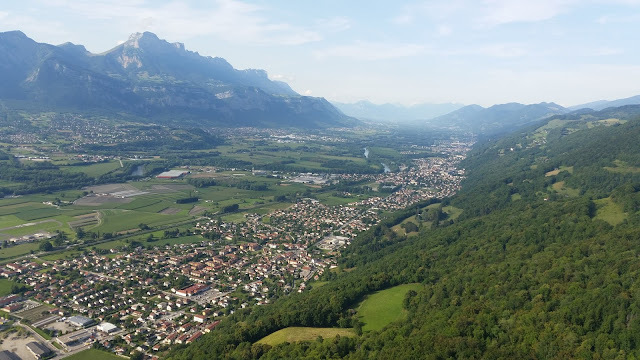 Friendly, civilized, and scenic Annecy. 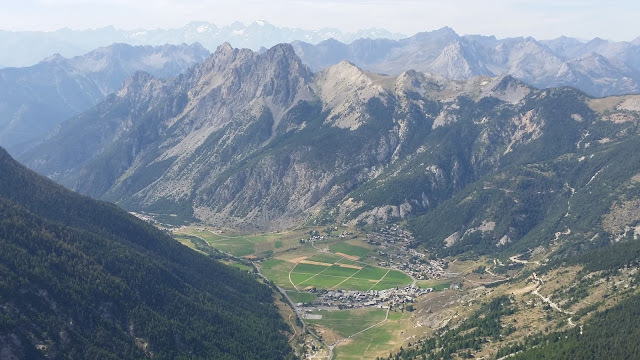 Ceillac, a unique paragliding location in the rocky southern Alps near the Italian border. The Queyras Mountains around Ceillac. 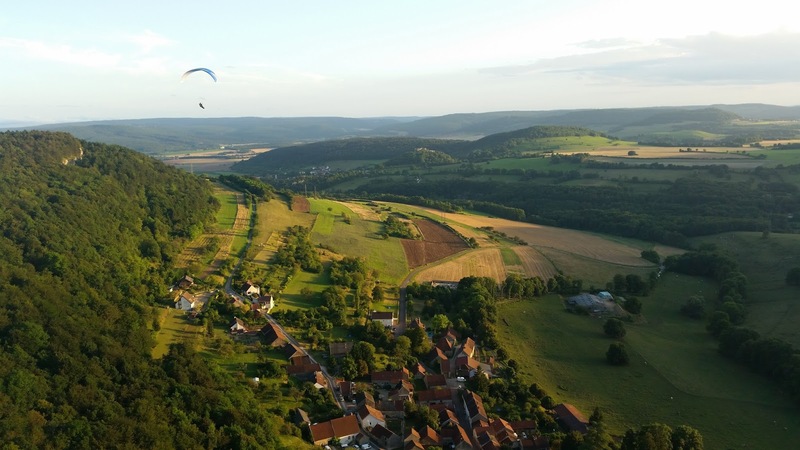 Final evening in Europe, ridge soaring until sunset at Baulme-la-Roche in Burgundy.